Students, parents, and alumni all attest to the benefits of being involved with Minnesota Youth Symphonies. Manny and Claudette Laureano say it's like being parents to over a hundred students. Manny and Claudette Laureano have huge expectations for the hundreds of students they direct in the MN Youth Symphonies. But as high as they set the bar, the students always strive to reach it. 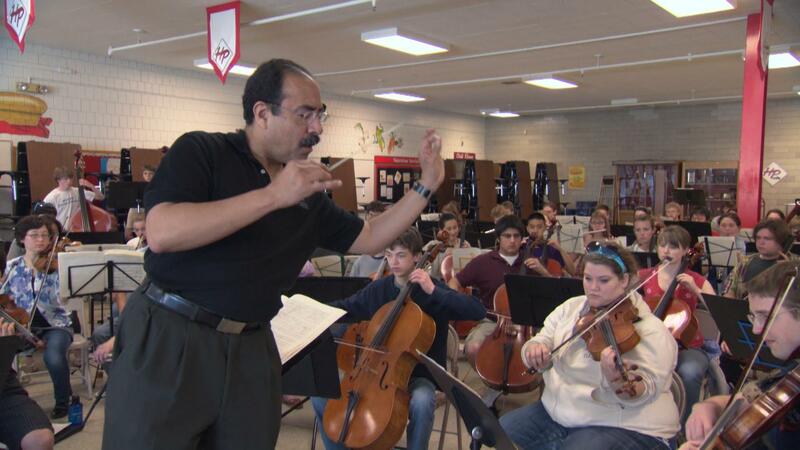 Students, parents and alumni all attest to the benefits of being involved with this educational orchestra program. Artist Bio: Minnesota Youth Symphonies Artistic Directors Manny and Claudette Laureano have given talented, young musicians a chance to grow and succeed for over 20 years. Claudette's musical training began in the public schools of New York City. She is a graduate of the Manhattan School of Music and was a teacher and freelance violinist in Seattle before coming to the Twin Cities in 1981. Manny began his musical studies in the New York City public school system and received his Bachelor of Music Degree from the Juilliard School in 1977. Manny currently plays with the Minnesota Orchestra. He served as Assistant Conductor of the Minnesota Orchestra during the 2005-06 season. Manny and Claudette Laureano over a hundred studnets in the Minnesota Youth Symphonies.